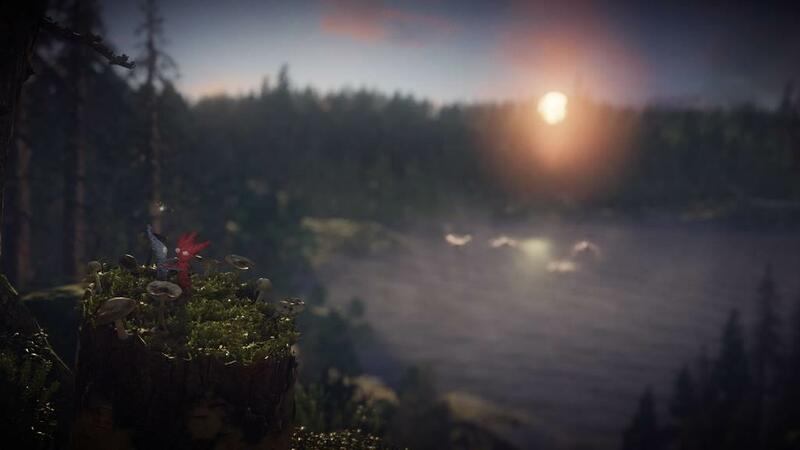 I knew that there was something different about Unravel Two when the gameplay had me engaged not in bombastic action and constant checking of position to see how close I was to whatever objective I needed to get to, but in how calm it made me feel. 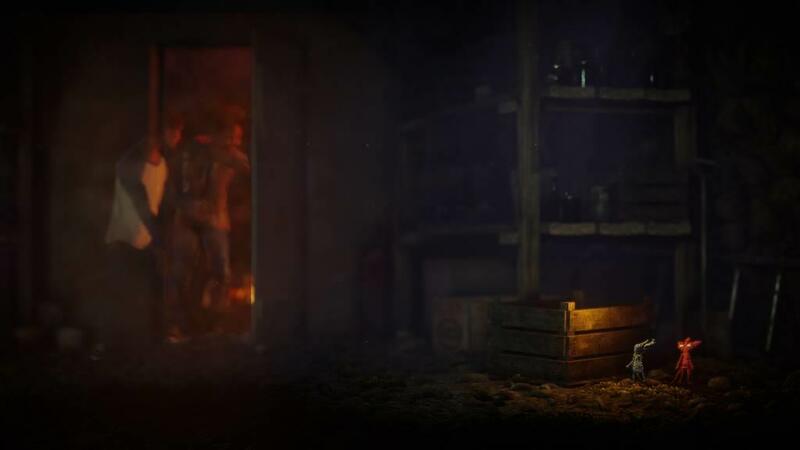 The power behind this title is the pure audio-visual presentation of tone, combined with mostly simple-to-understand gameplay, accompanied by a touching, parallel story that, while completely devoid of spoken dialogue, instills in the player an emotional bond with the events that play out onscreen. 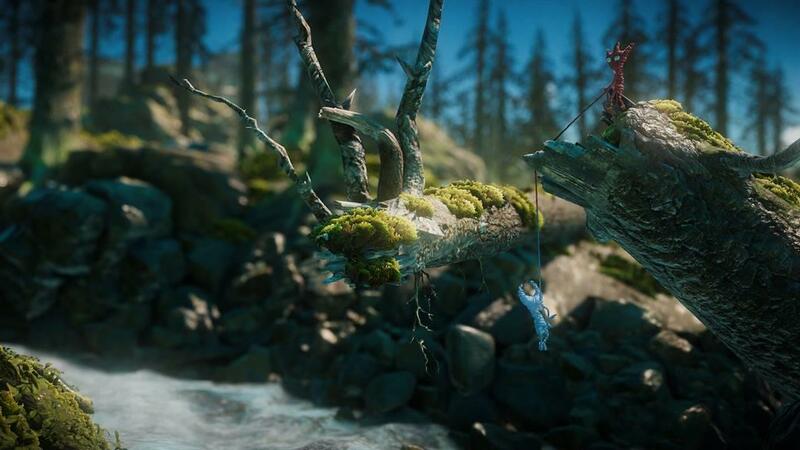 Following the adventures of Yarny (now a duo, compared to the first game), an anthropomorphic coil of yarn, Unravel Two could be described as a puzzle-platformer that best utilizes two players to fully experience, but it is still enjoyable playing solo. The story is vaguely understandable, depending on how familiar the player might be with the first game. I am not, and I did not look up anything about the first game to help me understand what was going on, but thankfully, I don’t think I needed to. The gameplay comes as a reprieve from the usual action games that I’ve been playing of late. 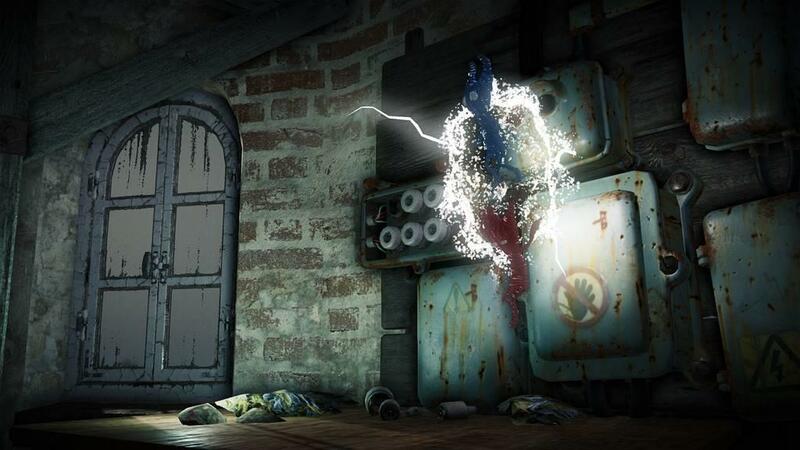 Yarny can swing from hooks with a comfortability I haven’t experienced since Spider-Man 2. 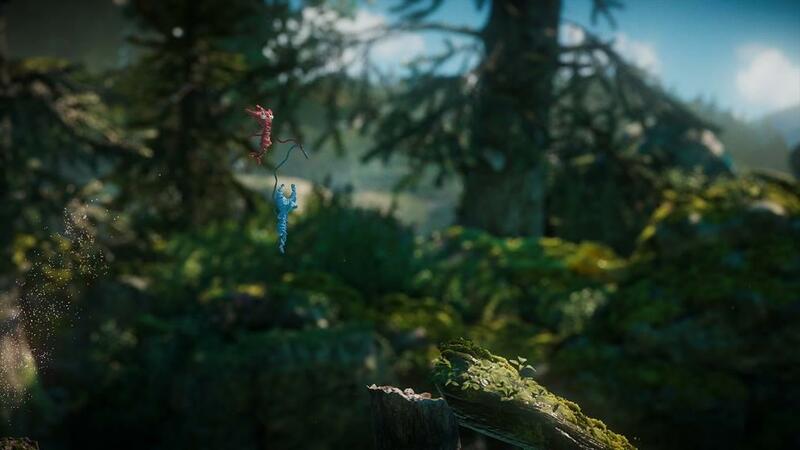 Subsequently, they can also tie their strings to opposing hooks to create bridges, which allow the player to bounce to reach high places. 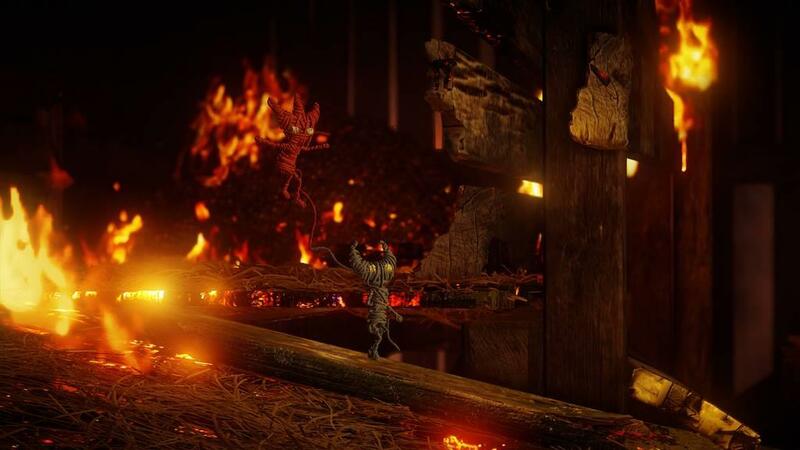 Yarny can split in two to reach places that would otherwise be impossible to get to, and both characters are customizable in head, eye, and body shape, as well as color. 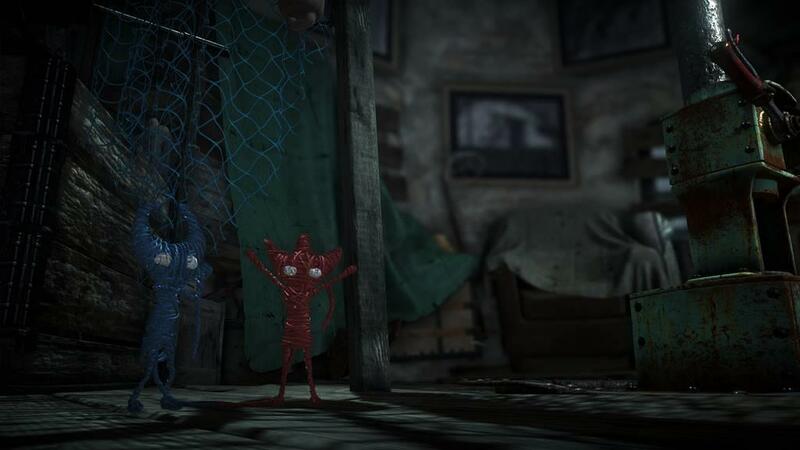 The amount of customization allowed to both sides of Yarny make for a great personalization of each individual experience, and further enhances how close the player feels to the character and action. The gameplay function, for the most part, is smooth. There is an almost equilateral segmentation of gameplay according to flow and puzzle-platforming. While playing, this reminded me of another game I reviewed called Embers of Mirrim. 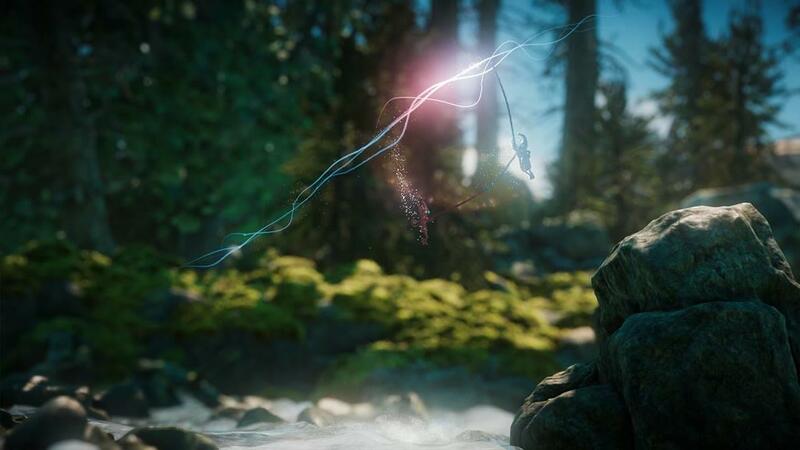 But where that puzzle-ish game had an almost ridiculous amount bizarre gameplay function involving the use of the opposing control sticks (which is, admittedly, ambitious), Unravel Two’s control scheme seems made to be easy-to-grasp. 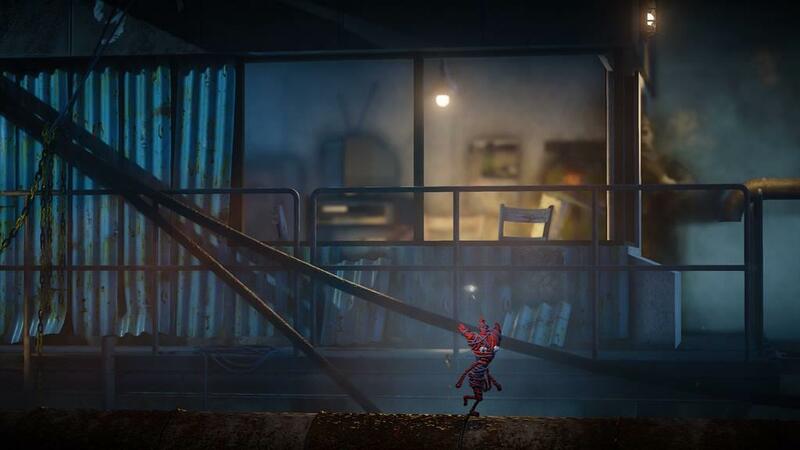 While playing as single-Yarny, the player can swing and jump anywhere around the level. But when that proves a bit too difficult, the Two part of the title comes in handy (the sequel number bares a strong parallel to Halo 2, trust me). There are a number of variations accompanying this split functionality that are mostly manipulated by the environmental puzzle scenarios. 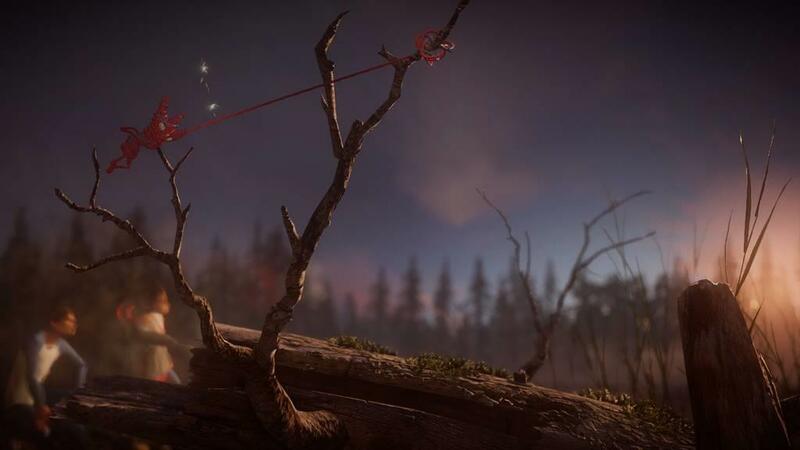 For instance: Yarny can, in addition to aforementioned swinging, loop yarns around objects to pull the other half of themselves up, or loop yarns around movable objects to catapult either themselves or said objects to get to the next part of the level. And the best part about this is that, often, you don’t feel too much pressure in the performance. These aren’t ridiculous, overly-thought logic puzzles that would make a player think that the developers are secretly laughing at them, but rather well-thought-out, kind of simple but not too hard puzzles that help you along with how cool and easygoing they are. This is done in two ways. One, by the visual presentation and arrangement of manipulatable objects in the environment, and the ever-present hint system. The hints come in three layers, and they sound like this: “you have to find a way to solve this puzzle by doing X”; “remember that you can tie bridges and bounce on them (or another reminder about gameplay mechanics”; and then a step-by-step instruction manual that tells you exactly what to do. This is where the game takes a momentary dampener to its flow. But that’s not a bad thing. The puzzles really aren’t that bad, and I was quite proud of myself when I didn’t have to use hints to help me solve them. 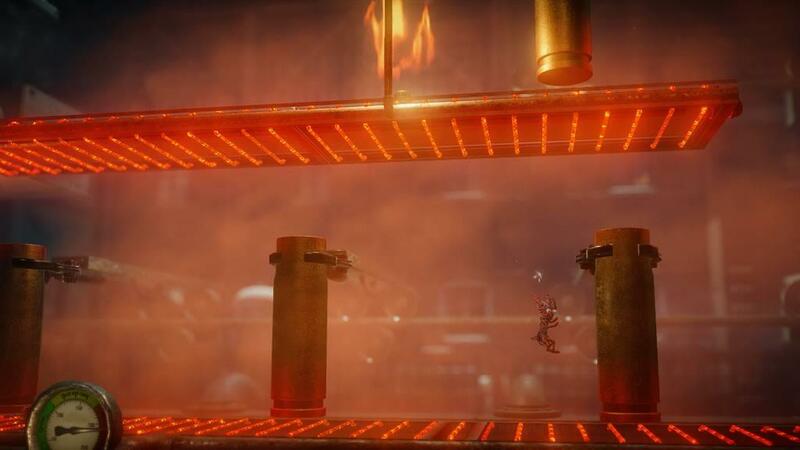 As a side note, there are also a number of challenge rooms that accompany the levels. I did not try very many, because they can be kind of hard. The worst aspect is when these puzzles—and note that when I say puzzles, I mean that as a byword for pretty much anything in the game that you need to wrap your mind around in order to progress, so this can mean anything from tight spaces that you need to jump around (you can wall jump, it’s pretty fun) to finding creative ways to swing over/under/into a tree—halt the flow of gameplay completely. The visual design of the puzzles are mostly consistent in providing the player the solution, but occasionally there will be spots that are just out there. Thankfully, these places are few and far between, and I found them happening mostly in the end game. 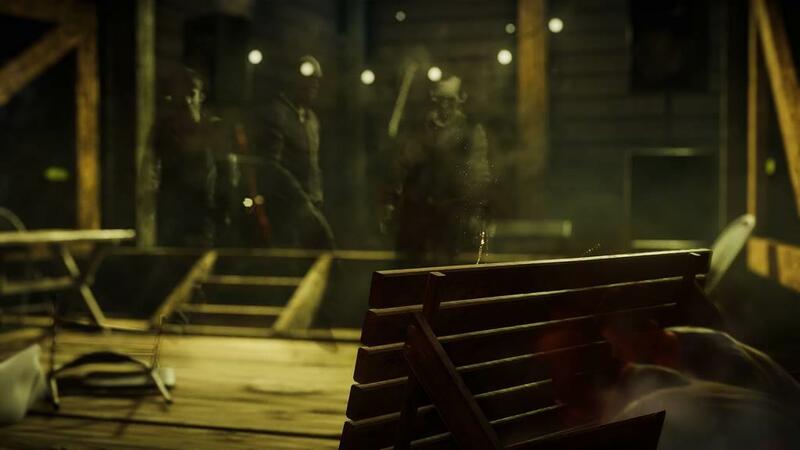 This interrupted my emotional bond with the game a little bit, as I became more frustrated at the placement of something like an enemy or a burning pit than enamored with how heightened the tone and stakes were becoming. The game works best when the player simply cruises along the pathways. Whether wall-jumping, swinging like a tiny, yarn-version of Spidey, or something similar. The free flow of movement feels, simply put, good. 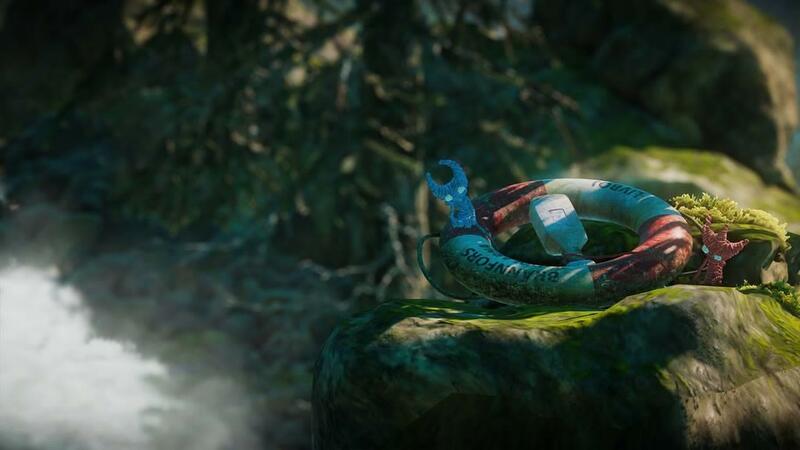 The story, if it can be really called that, follows Yarny after their refuge, a boat on the sea, is shipwrecked. 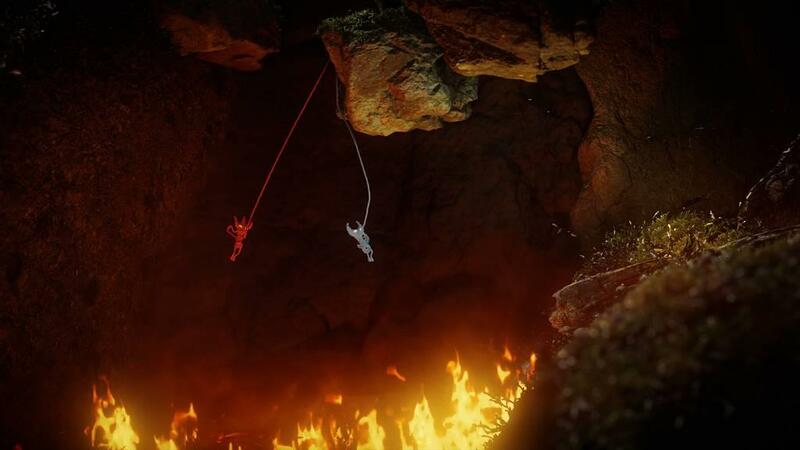 Yarny’s adventures continue in the form of hopping into different chapters (much akin to the paintings of Princess Toadstool’s castle in Super Mario 64) of a story in which they follow shades of two children who are running from unknown assailants, which parallels Yarny’s own in-game flight from vague, fiery enemies who kill them on contact (this is not an action game). With that said, when the credits rolled, I had to admit that I didn’t get the full picture of what transpired. But I don’t think I actually needed it. I don’t know if this follows up with what happened in the first game, and I don’t really care. It was an emotional experience that surprisingly wrenched a lot out of me. I don’t have the capacity to describe how the game made me feel, beyond the fact that it made me cry, and it did this all through visual and audio presentation. 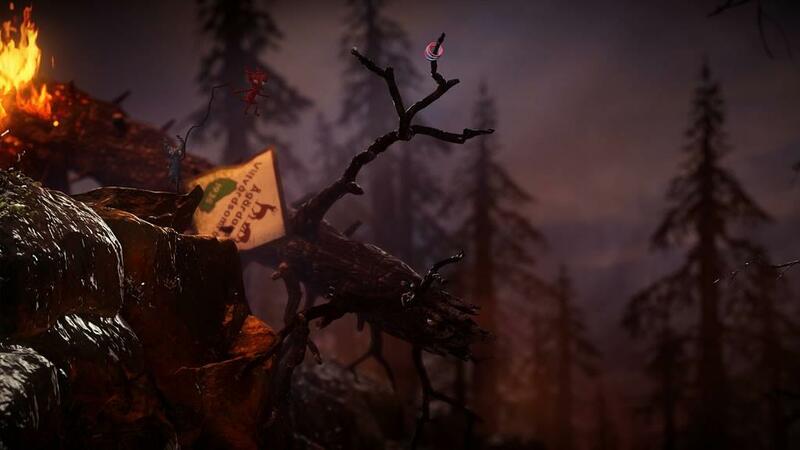 As I mentioned before, some of the placement of various objects can prove to be hindering to the flow of gameplay and tone, but all of that quickly fades away once Yarny gets back on track to what they need to do. 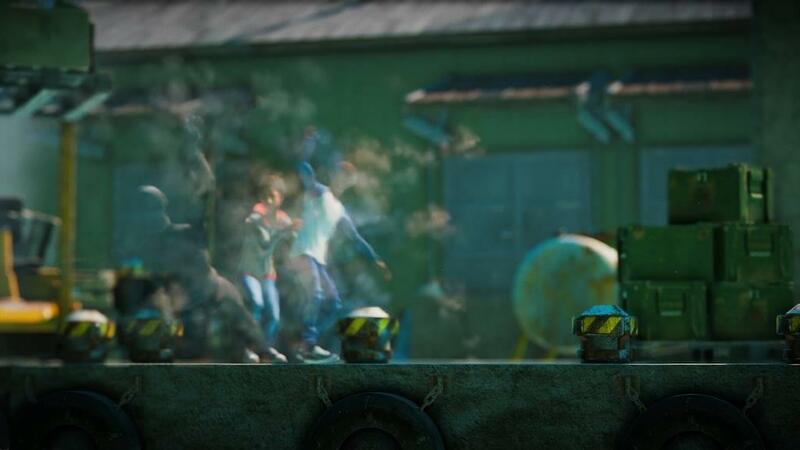 What I’ve come to realize is that the game’s presentation goes something like this: Yarny sees what plays out in the background, with the ghostly fades of the boy and girl trying to get from one place to another, and they help them. 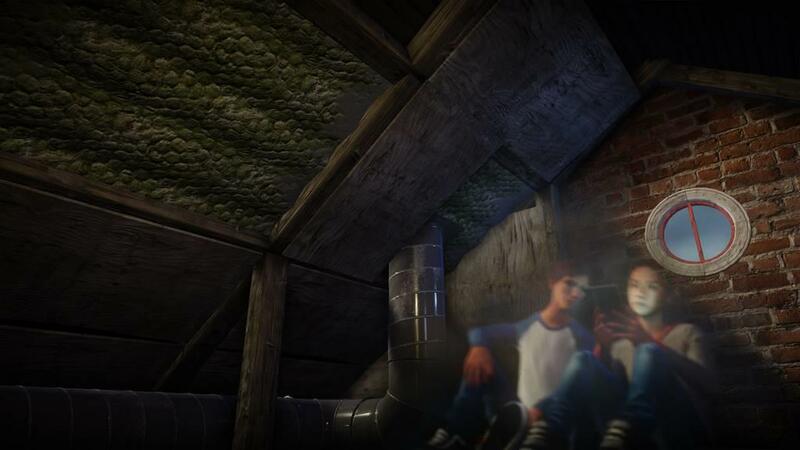 The gameplay provides the simple task of getting the player from one end of the journey to the other, and it works. 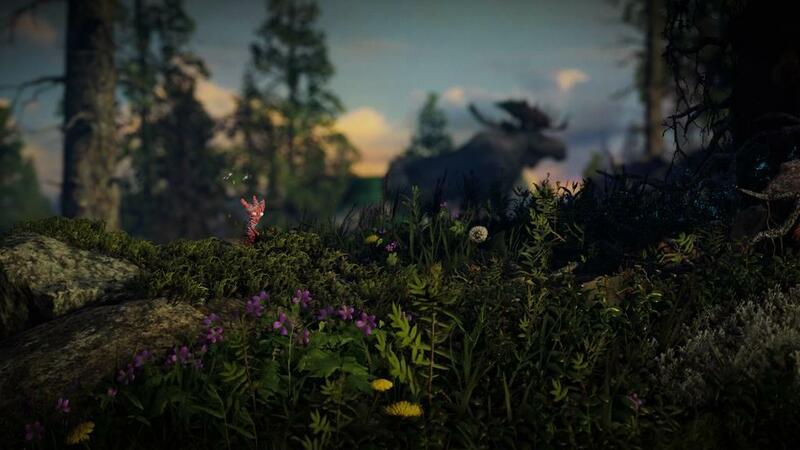 Unravel 2 is more than just a puzzle game. It’s a journey of working with someone, sometimes that someone being yourself, and going on a journey that will change you. It’s a marvel how the developers evoked such feeling out of this slick combination of gameplay and visual storytelling, even one without words. Like me, it will leave you speechless at the end.